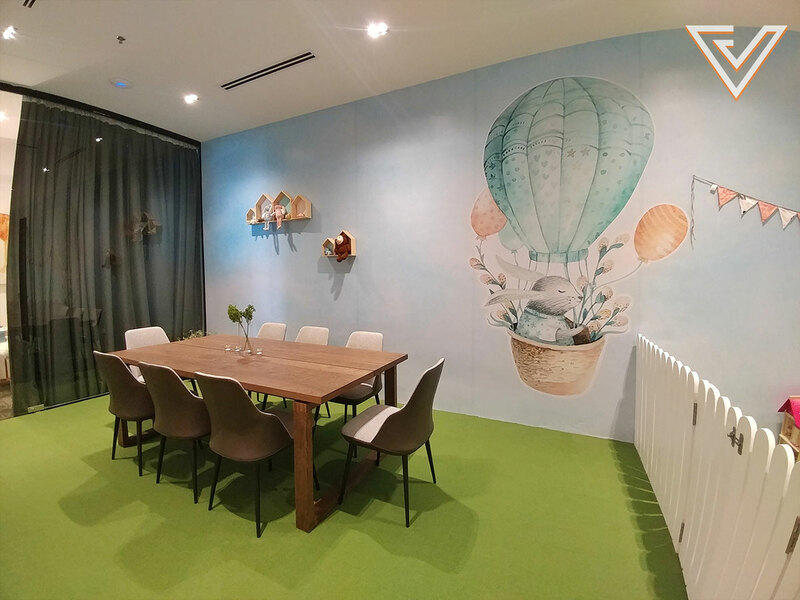 Colony have officially launched their newest co-working space located at Eco City KL. 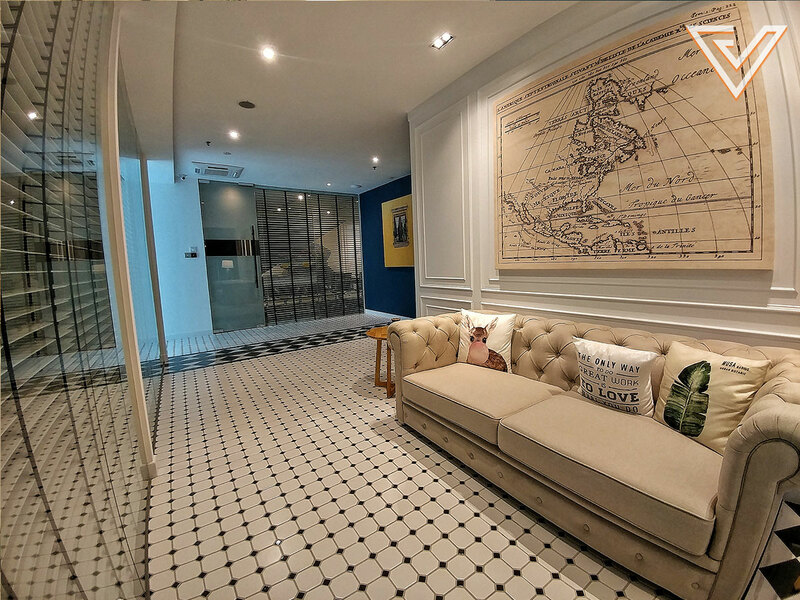 The space is located just outside the KL city centre, and is near Mid Valley City as well as some strategic public transportation routes. 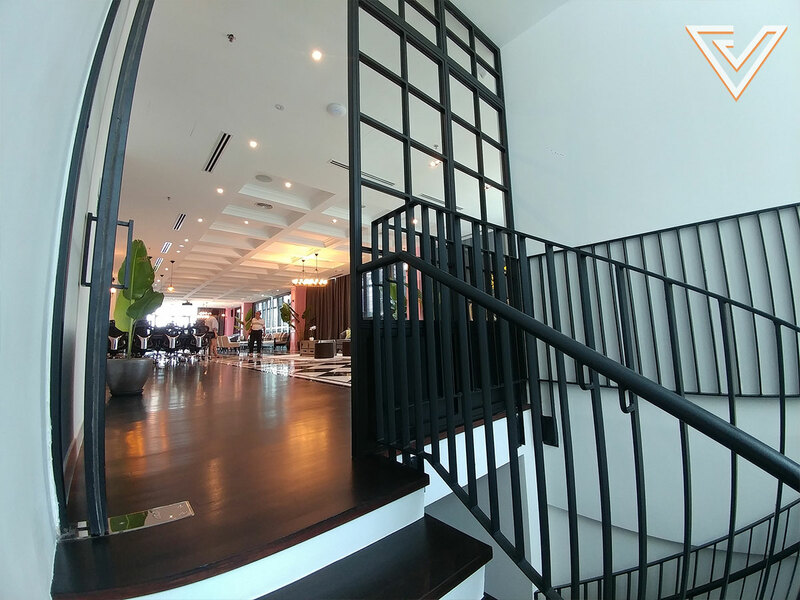 The new space brings back the same focus and feel of Colony’s first KLCC co-working space, but also improves upon some other elements. 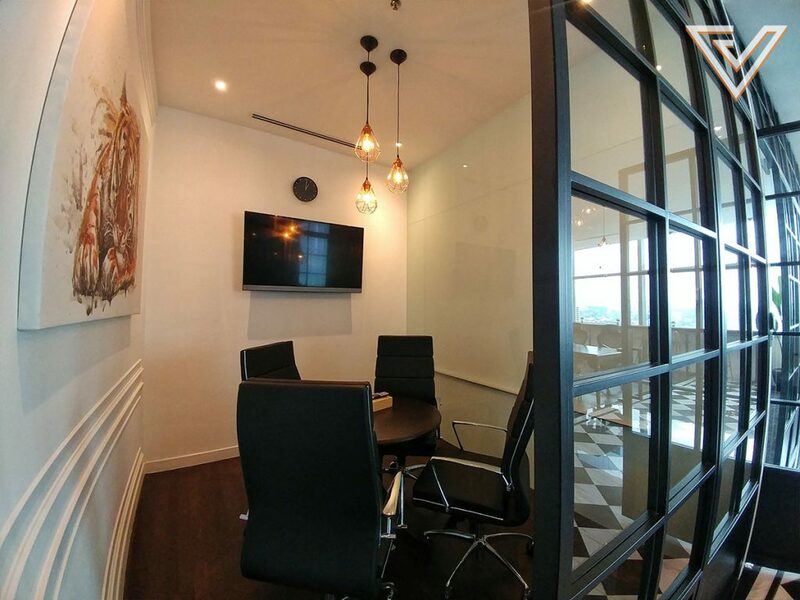 Since catching on like wildfire over the past number of years, the concept of renting a space for productivity has seen countless names pop up to offer up their own unique takes on the co-working fad—some focus on community, a number cater specially towards students, and various others frame themselves as purely for corporates. 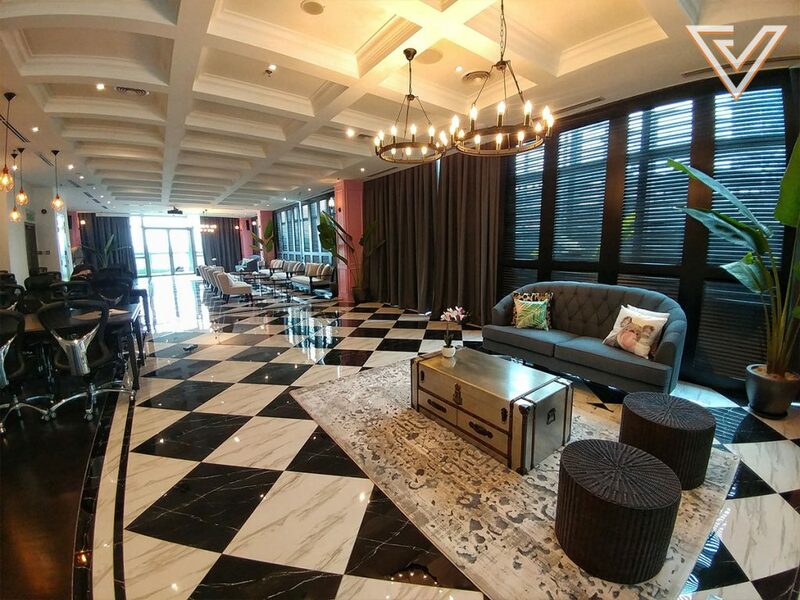 Among these names, Colony is one that has made a name for itself as one of the Klang Valley’s more upscale co-working spaces, touting resort-level hospitality in addition to the standard-fare amenities you usually find in a respectable co-working space. 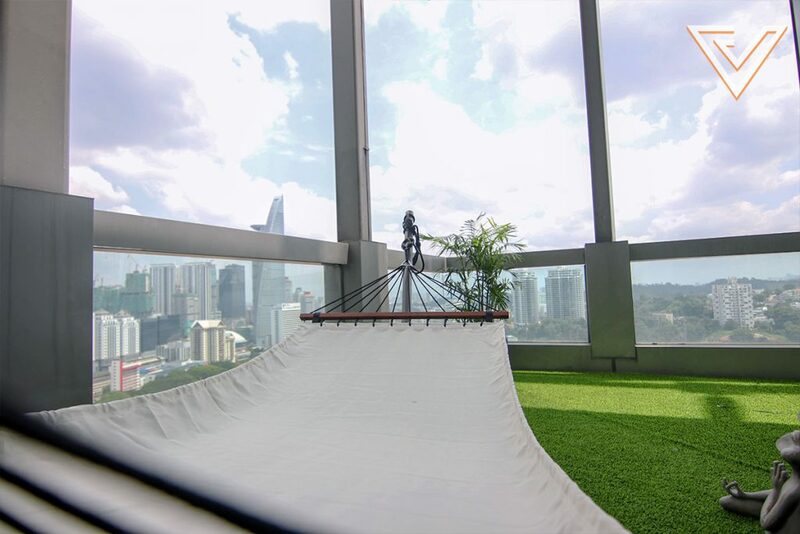 Just today, Colony announced the launch of their latest location at Eco City in KL, a brand new five-storey co-working facility within a stone’s throw of Mid Valley City, the Abdullah Hukum LRT and Eco City KTM stops. 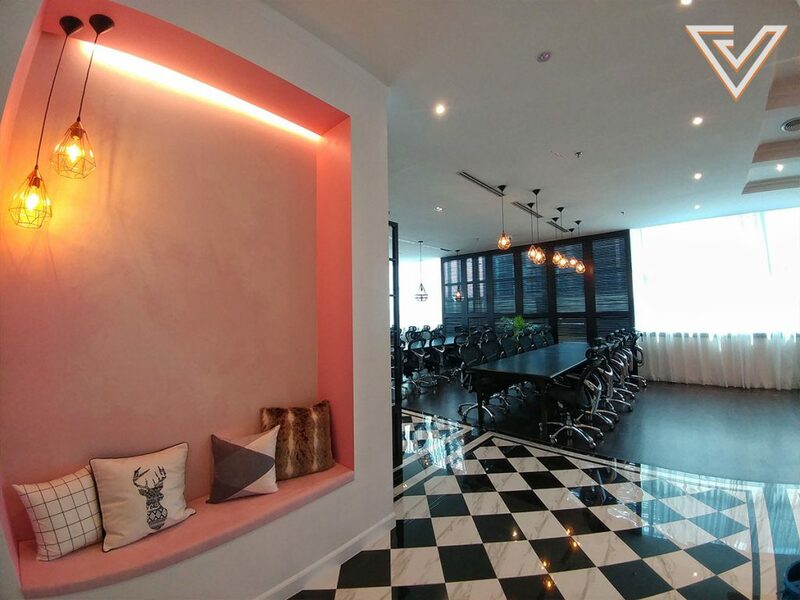 The team invested RM4.6 million to build this space, and it comes replete with pretty much the same trimmings of the first branch with a few notable exceptions. Just a few days prior to the launch, Vulcan Post were given an exclusive tour of the space, and we thought that it would be great to share what we saw with the rest of you curious about Colony’s new location. 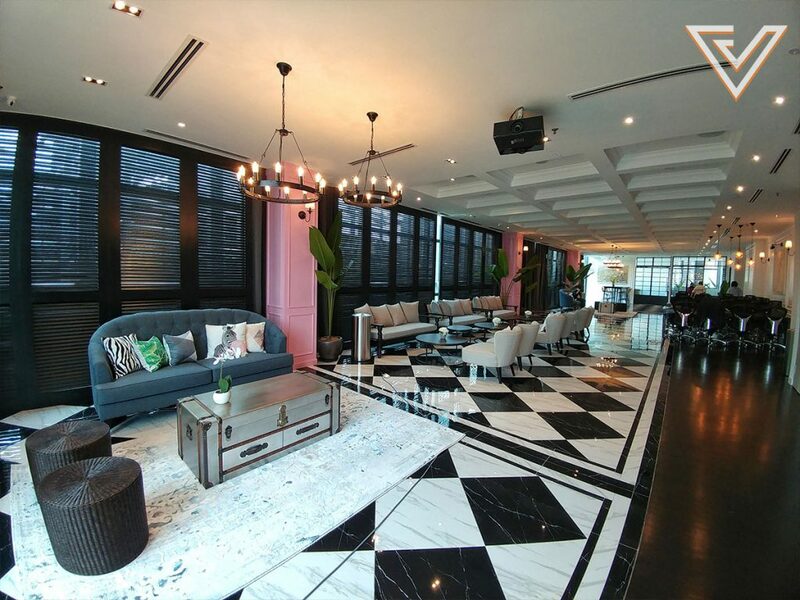 As mentioned earlier, Colony’s new space at Eco City is spread out over 20,000 squarefeet with five levels—from level 16 to level 20 of Menara 2 of the modern complex. However, the space allocated for regular users is only limited to floors 18 to 20, with floors 16 and 17 already occupied by an anchor tenant. 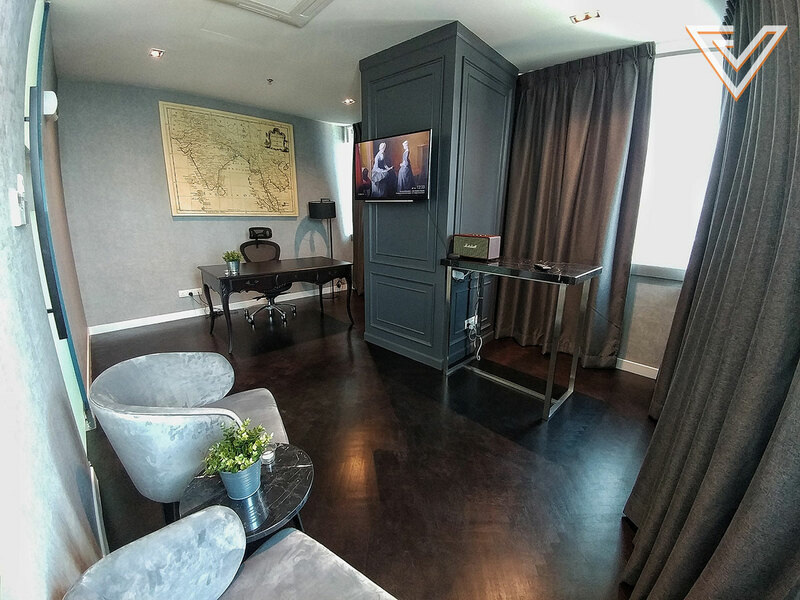 On level 18, Colony have created space for 17 private offices, with the smallest able to hold 2 workstations and the largest able to accommodate a party of 6. It should be noted that Colony staff themselves occupy 3 of these offices, but they have mentioned that they’ll move out as soon as space becomes more limited. 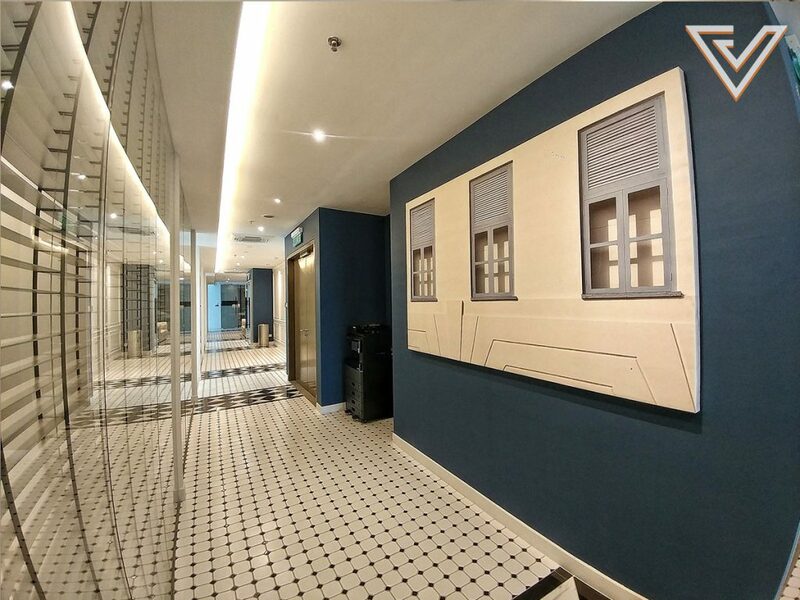 On this floor, patrons will also find a meeting room with a capacity of at least 10 as well as a nap room that can be reserved should they find themselves needing a rest during the day. 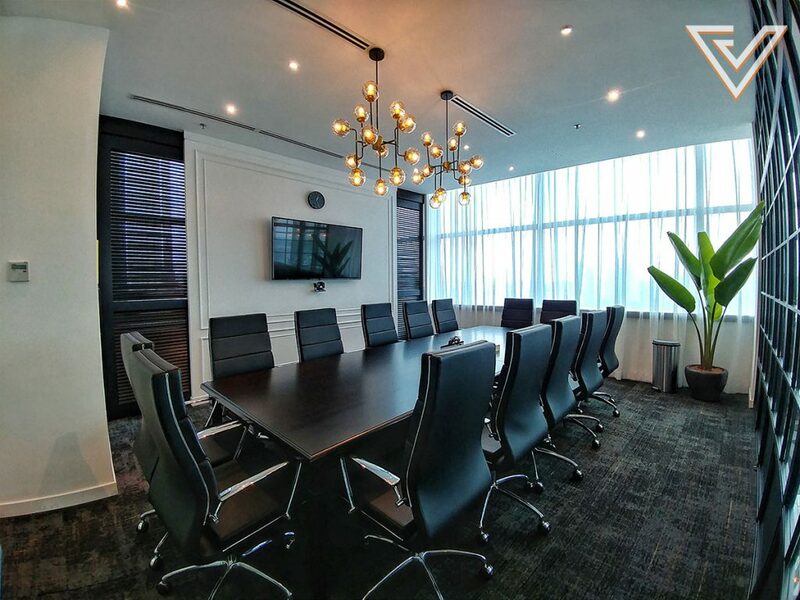 The meeting room on the 18th floor. 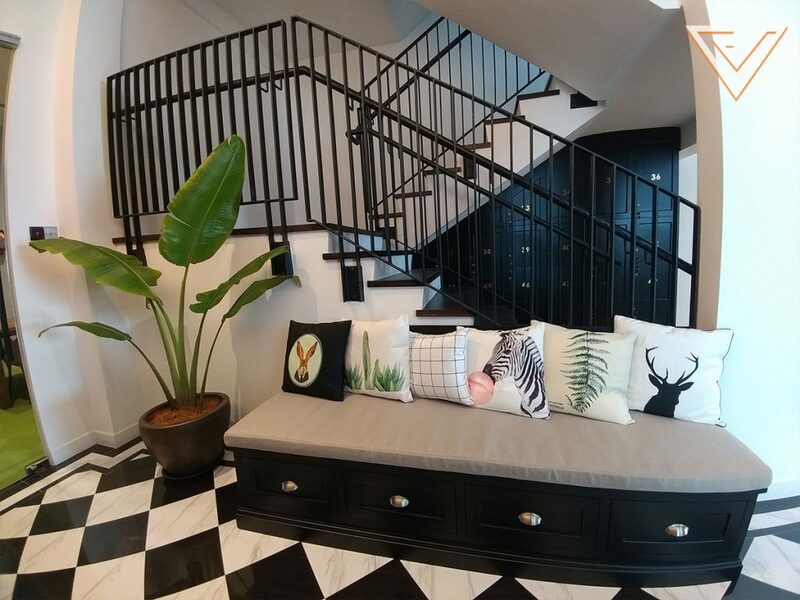 The nap room for a quick recharge. 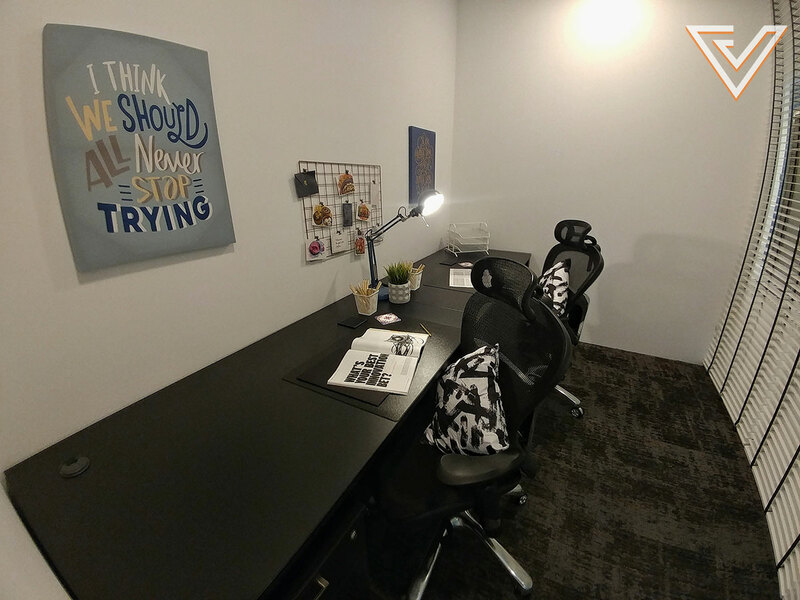 But the most interesting part of this level is a solitary smart office for one. 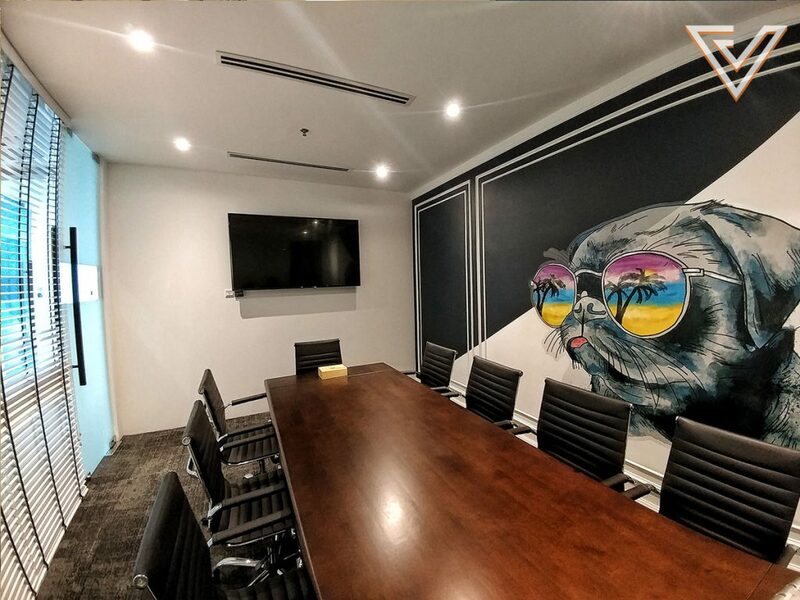 This office comes with a Google Home system connected to a high-end audio system and television screen, imbuing the room with a very high-end functional aesthetic. 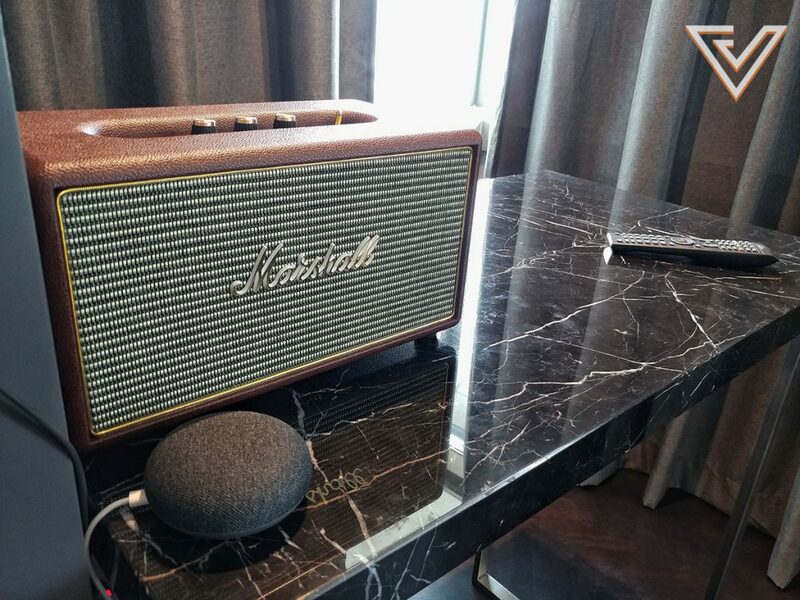 The smart office comes with Google Home and an AV system. 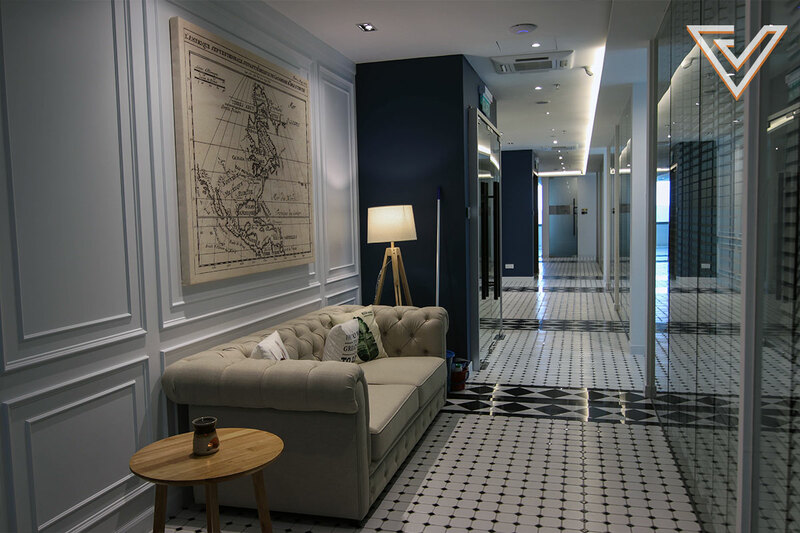 According to the Colony team, this smart office is the manifestation of their belief in a top-level work environment free of unnecessary distractions. 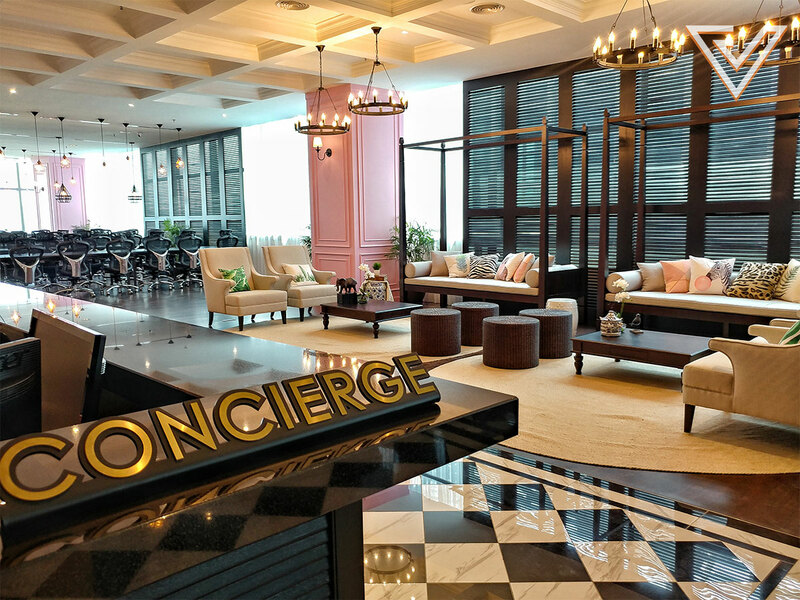 Moving up to level 19, patrons will find the concierge, which is where first-time visitors will need to check-in before accessing the rest of the co-working space, as well as the Embassy Cafe for food and drinks. 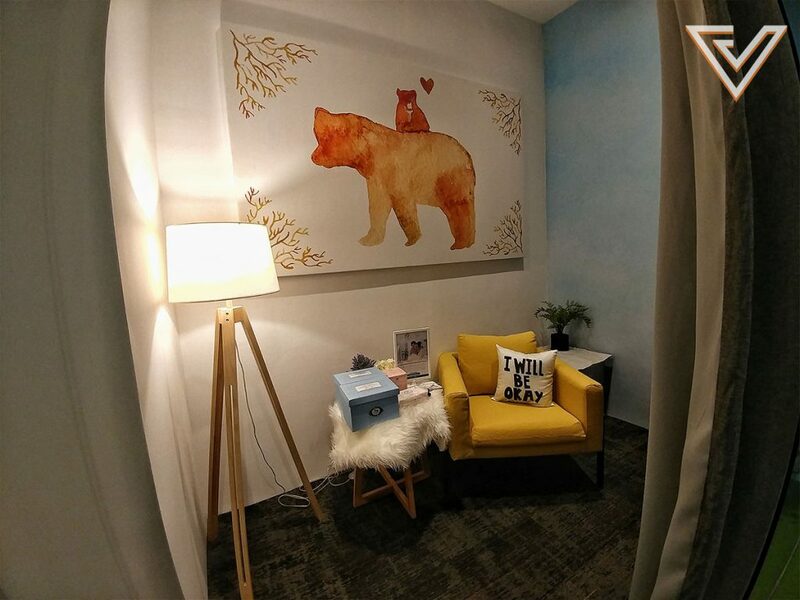 The kid’s room is also located on this level and comes with an inbuilt nursing area replete with complimentary Applecrumby & Fish products, and is purpose-built for parents who absolutely need to bring their kids to work. The nursing room located within the children’s area. 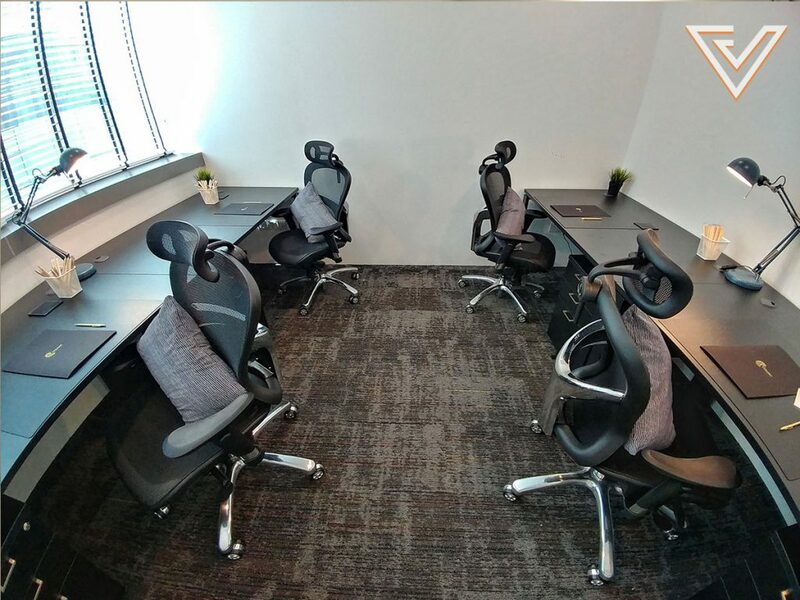 For work, this floor contains a number of reserved desks that come with complimentary lockers, and two meeting rooms—one small and one large. The 19th floor has a small meeting room..
And also a large meeting room.. 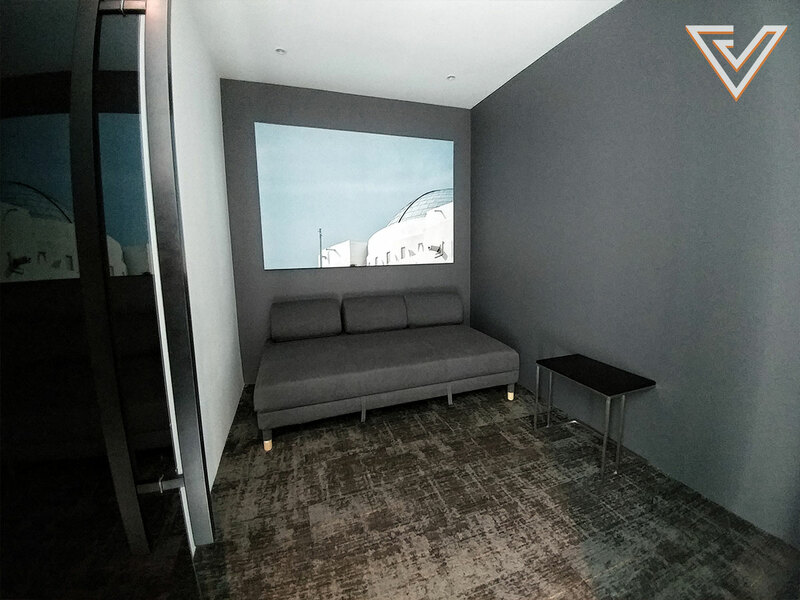 Finally there are also booths that patrons can use to make telephone calls without disturbance from external noise sources. 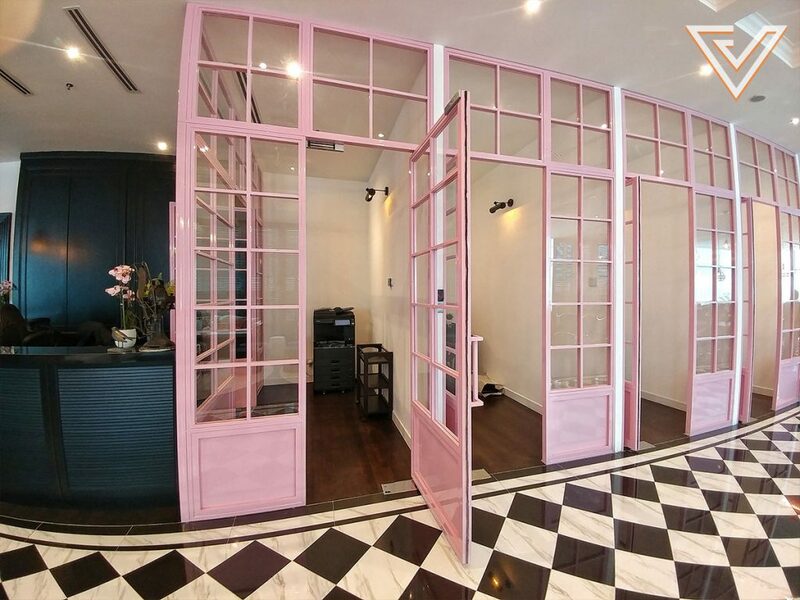 Booths for private phone calls. 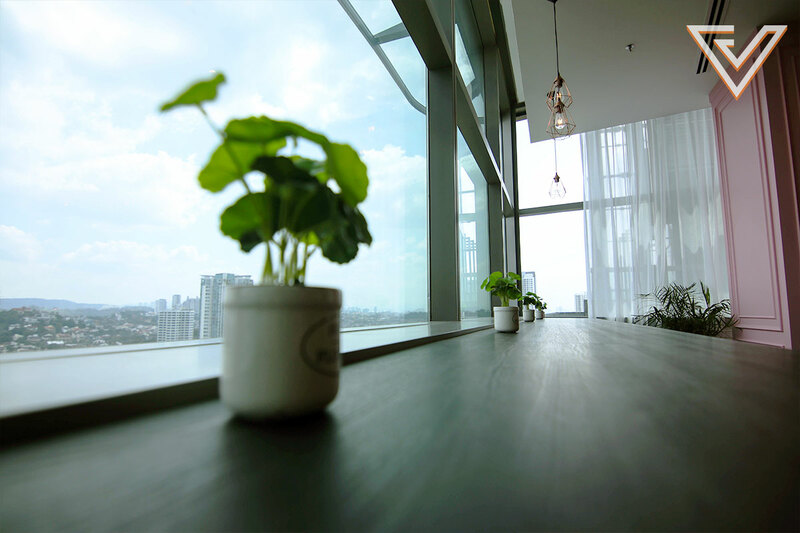 Moving up to the highest level of their Eco City branch, visitors will find an event space that can accommodate at least 80 persons in a seated classroom-style setup. Their team say that without seating, the event space will be able to hold up to 150 with everyone standing up. 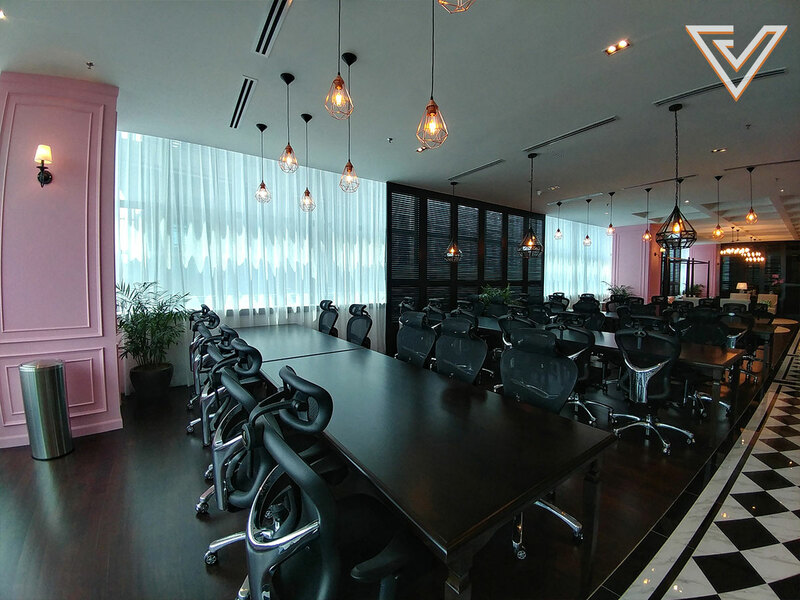 The event space on the 20th floor also holds a hotdesking area. 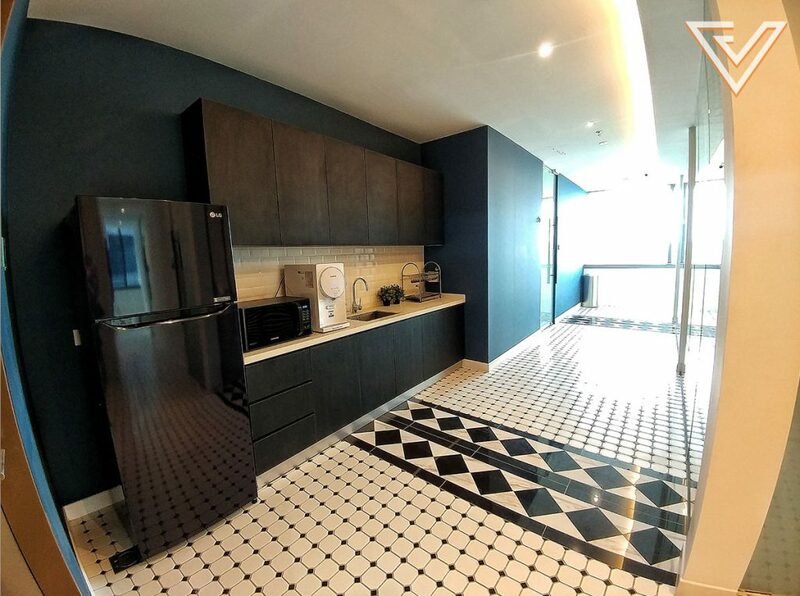 It’s also on this floor that Colony allocates a certain number of hotdesks for those who prefer a bit more of a free-roaming approach to their work. 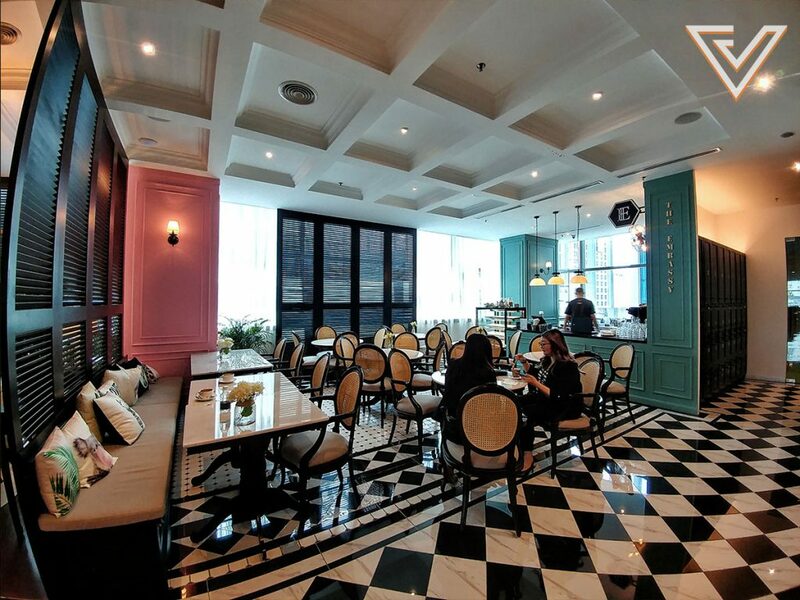 Much like their KLCC branch, Colony’s latest location boasts the same upscale ambience and a good balance between form and function, only this time they’ve taken many of the features of the first location and improved upon them. For example, the new location now only has real indoor plants instead of imitation ones, the desks now sport a more premium build quality, and they now have printing/photocopy system that gives more freedom to users—all these in response to feedback received from their clients from their first premises. “Our plan is that each Colony looks different enough that whenever we open a new one, people will want to come and see,” their team said. 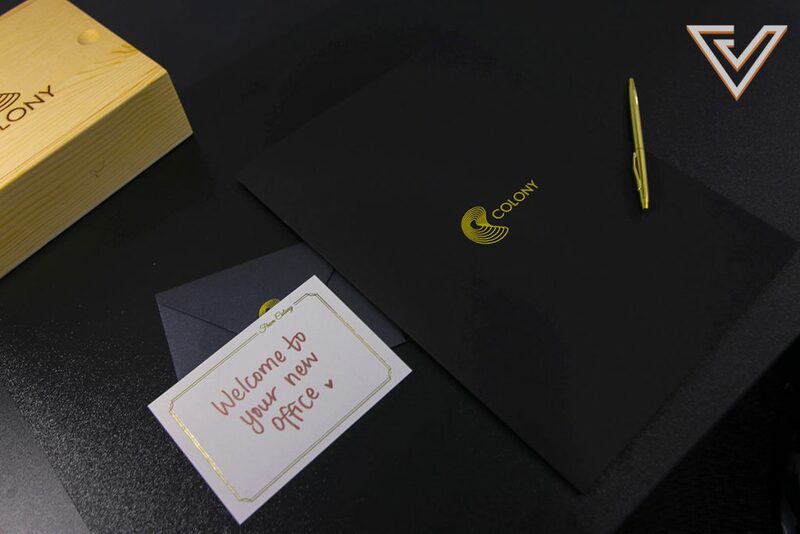 To know more about Colony and what they offer, visit their official website or Facebook page.